Some classic House sounds right here from Boston producer Dusty Digital as he sets to work turning-in this retro dancefloor version of SynthPop legends Pet Shop Boys’ It’s Alright. He’s morphed the anthemic Pop of the original into a glossy, seven minute, warehouse epic that just keeps on going and going, building and building. Serving up heavy beats and a thick, Italo-esque bassline, alongside an infectious Piano hook. Dusty Digital creates an authentic early 90s House Pop sound which feels in-keeping with the song (which saw a 1989 release). Once he;’s let the original song play itself out, however, Dust then descend into a total synthesizer freak out, a cosmic voyage through soaring solos, all still set to the Chicago House style backing. It’s a track of two halves, both of them awesome. Here’s a nice surprise for the start of the week. 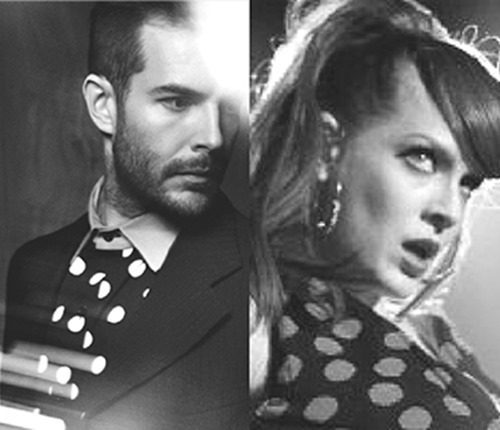 One of the UK’s leading SynthPop artists Bright Light Bright Light teaming up with Scissor Sisters’ Ana Matronic to cover Pet Shop Boys classic West End Girls. Premièred last week live in NYC for the Hetrick-Martin Institute Benefit the track is now available as a free download, so get it while it’s hot. Loads of people have covered West End Girls. Like loads. But very few have been able to keep the sombre, deadpan angle of the track intact. BLx2 and Ana Matronic manage to pull this off triumphantly. 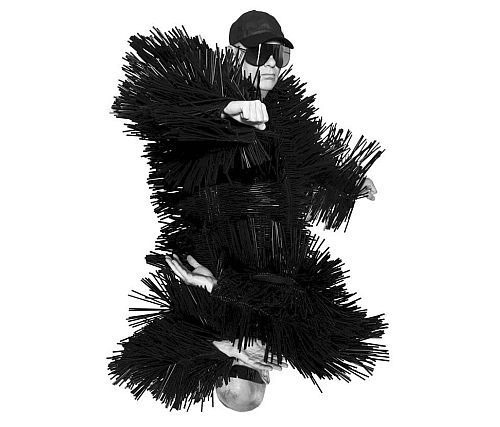 Rod injects his flair for 90s dance into the track with popping beats, shiny synths and some subtly 909 snare rolls. Their vocals are surprisingly complementary too, with Ana handling most of the verse action, joined by Rod for the choruses, being true to the original but giving it a twist with their own personalities. A very good job indeed. This week Pet Shop Boys released their new single, Love Is A Bourgeois Construct, taken from their recent Electric album. We already introduced you to the funky-as-all-hell reMix from Little Boots earlier this week, so let’s grab a listen to another reworking, this time from London based French ElectroPop duo The Penelopes. Choosing to concentrate on, and highlight, the track’s background strings and horns brings a whole new infection to the track and pairing them with a bouncy Electro backing, fitted with chainsaw synth hooks and pumping beats, give the track a subtler dancefloor vibe to the original’s in-you-face kicks. A slick slice of ElectroPop with a baroque feel and a certain majestic quality to it. Neil’s voice has never sounded so cinematic. Pet Shop Boys’ Love Is A Bourgeois Construct is out now. Are you ready for some seriously cosmic Moog Funk? You’d better be. This week the new single from Pet Shop Boys’ excellent Electric album was released, and Love Is A Bourgeois Construct comes with a whole host of reMixes, including this groover from Little Boots’ Little Boots Discothèque side of things. Boots takes these SynthPop legends and drags them straight to the dancefloor, easing them onto it with some lush galactic synths and retro futuristic zaps, before bringing in an absolutely massive, infection, Funk bassline that warbles it’s way through the entire track. It;s really that bassline that pins down the song, the combination of that plus Neil’s vocals might seem like strange bedfellows, but Boots makes it work perfectly. This tune is surprisingly authentic sounding early Disco, all mirrorballs and spangley suits, which somehow plays to the track itself. Addictive listening. 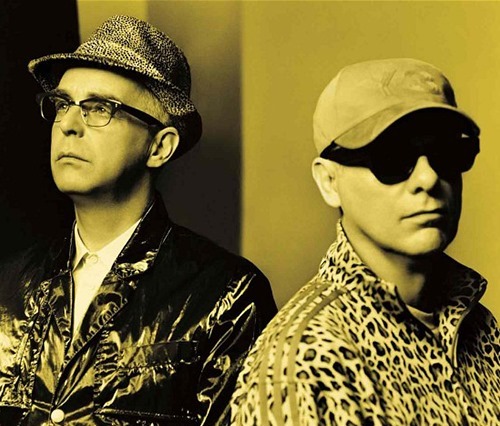 Pet Shop Boys ode to vocal dance music, Vocal, taken from their excellent Electric album get’s a full-on, nine track, reMix CD treatment at the end of this month. Nine version is a pretty chock-full package but there’s still more. Not included on the CD, but definitely worthy of your attention, is this version from Italian Housemeisters Jack And Joy. Jack And Joy play up to the track’s motif and deliver a classic dance mix. In fact, heard blind, you’d be hard pressed to pinpoint a year or even genre for this one. There’s elements of Chicago House, Balearic vibes, 90s extended 12” mix styles and a big Trance build to accompany the Pop House piano hook. These kinds of timeless reMixes allow Pet Shop Boys to shine at their best a Neil Tennant’s vocal is left largely intact (apart from some late 80s sampling techniques) to bring it;s full emotional content to the dancefloor. Pet Shop Bot’s Vocal reMix CD is released 29th July. Pet Shop Boys’ new single and ode to vocal dance music, Vocal, has got itself a nostalgic music video. 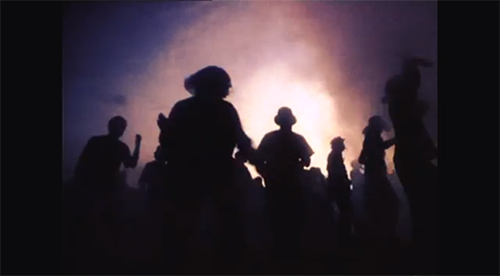 Loaded with clips of late 80s raves, this clip is like a document of 1988’s Summer Of Love. Pet Shop Bot’s Electric album is due out in 15th July. Vocal is out now. Vocal is the second full track to see daylight from SynthPop legends Pet Shop Boys’ highly anticipated forthcoming new album, Electric. 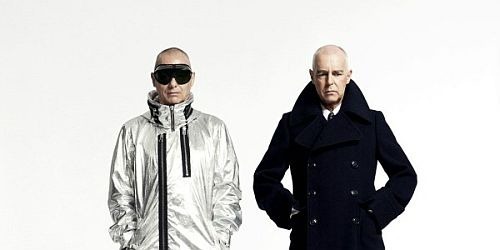 The Stuart Price produced LP will be the duo’s thirteenth studio album and from all accounts eschews your usual PSB ballad tracks for a short, sweet, collection of dance tracks. What we’ve heard so far from the album has been pretty modern Italo sounding. No so with Vocal, this drags Pet Shop Boys SynthPop into Euphoric Trance territory and as such is unsurprisingly being championed by Armin Van Buuren. Neil Tennant’s ode to vocal dance tracks glides over a backing of big stabbing synths and warbling lead lines. Proving once and for all the Pet Shop Boys can still crank out a blistering, relevant, Pop song, Vocal is a fine precursor to the album. reMixes are on their way. Pet Shop Bot’s Electric album is due out in 15th July. Vocal is available from today. We’re not going to lie, we were quite worried about this tune. Apart from the odd tune, Boys Noize have not been impressing of late, the last album, Out Of The Black, was more filler than killer, so the thought of Ridha getting his hand on Pet Shop Boys didn’t fill us with optimism. Imagine out relief then when, after a Mixmag première, it turns out that Boys Noize reMix of Axis isn’t too shabby at all. The original of Axis is pretty amazing Stuart Price produced Italo gold and whilst Boys Noize reMix doesn’t hit those crazy highs, it does deliver a fairly storming hard dancefloor juggernaut. With a whole pallet of spiky synths, this reMix if Axis really does build up an infectious groove that it’s pretty hard not to get into, and serves up quite a nostalgic old school flavour. An out of place 2007 middle-eight aside, this a high octane killer of a tune. Pet Shop Bot’s Electric album is due out in June. This is Axis, the first single from SynthPop legends Pet Shop Boys long awaited new album Electric, and it;s insanely good. A modern-Moroder robo-Disco epic with a B-Boy breakdown. 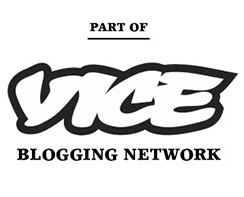 Produced by Stuart Price too. 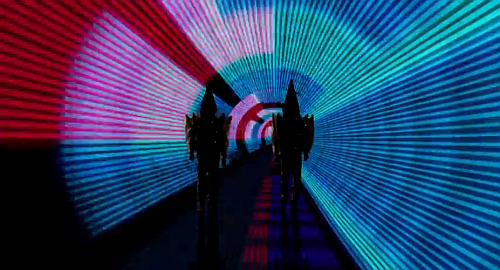 Check the video, a retro future freak-out that is absolutely perfect for the track. A neon, dreamlike, playground that’s lasertastic. Pet Shop Boy’s Electric is due out in June. 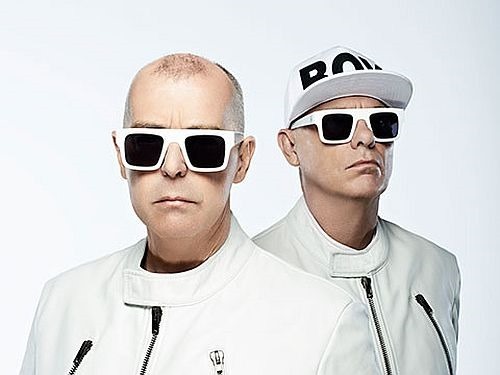 SynthPop legends Pet Shop Boys announced this week that they are parting company with long serving record label Parlophone in order to release their next album, Electric. They’ll be releasing the album themselves in conjunction with Kobalt Label Services and to mark the announcement the have released a trailer for the album, which has been produced by none other than Mr. Stuart Price. Pet Shop Bot’s Electric is due out in June.